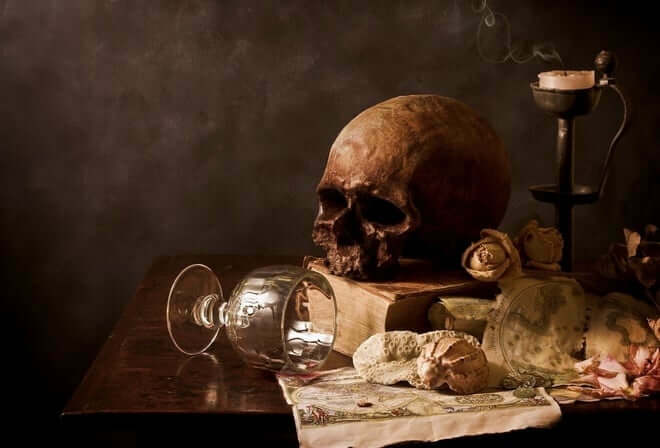 Home » Divination » What is Necromancy, Really? Video games and popular literature would have us believe that “necromancy” is black magic, summoning skeletons and demons to do the bidding of some nefarious sorcerer. However, that’s a far cry from what necromancy really is. Here’s the real meaning of the word. If you’ve played Diablo, you know the Necromancer as the powerful magician with control over the spirits of the dead. The popular Dragonlance series of Novels draws on Dungeons and Dragons to paint him as a dreaded eldritch master of death itself. And yet, the word “necromancy” is easily broken down into its component pieces, where one can understand the meaning of the word. Necromancers, and necromancy in general, have no real power or control over the dead, by any means. The dead are the dead, and the living are hard-pressed to exert “control” over them. No, those practitioners of necromancy can only communicate with the dead, whether by using their bodies as a medium or through the use of tools like the Ouija board or others. If you have a talent that involves speaking with the departed, no matter how you execute this talent it is necromancy. It will not change in modern times that the word itself has a sort of flavor to its – those who might go around saying they are a necromancer will be met with looks of derision or pity from those that only know its popular definition by means of media like games and literature. And yet, there are some that will insist on being called such. If that’s their talent, then it’s not wrong to want it called properly. Still, it is perhaps the best not to wantonly boast your necromancy, nor to call others with talents necromancers, even if that is indeed the case – you might find that you alone know what it really is. Previous What Is Bhava Lagna?